Kimoyes item: 21897 - 6 pieces of kimono silk, each approximately 14 x 14 inches or the equivalent. 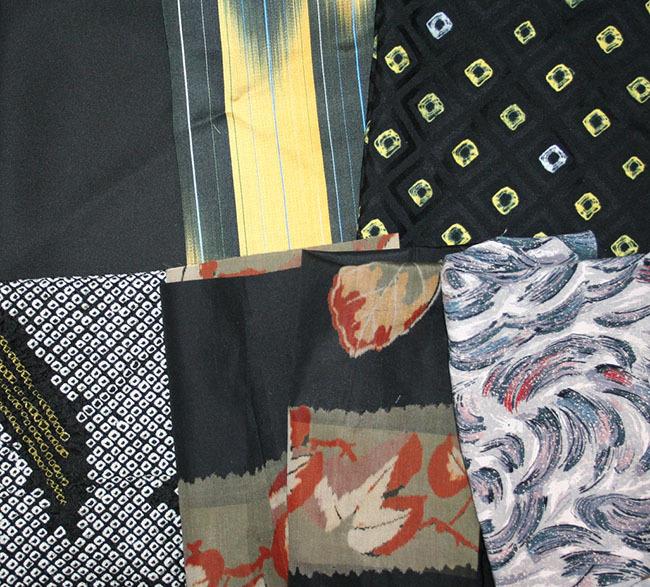 6 pieces of kimono silk, each approximately 14 x 14 inches or the equivalent. Some are may be smaller, others are larger.